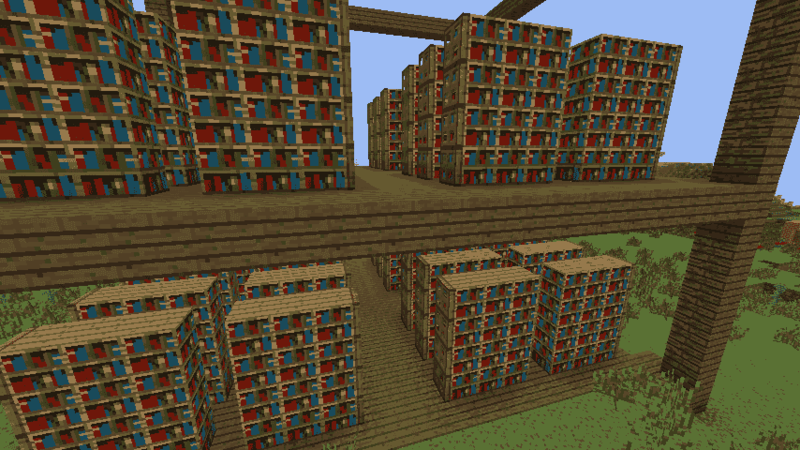 Here is an great yet simple idea to help recreate the book shelves in for example a library by VoltronIsMyMaster. This would also be a great use in the school! Like the Ironhurst Elementary or Chroma High School. Well its pretty straight forward. 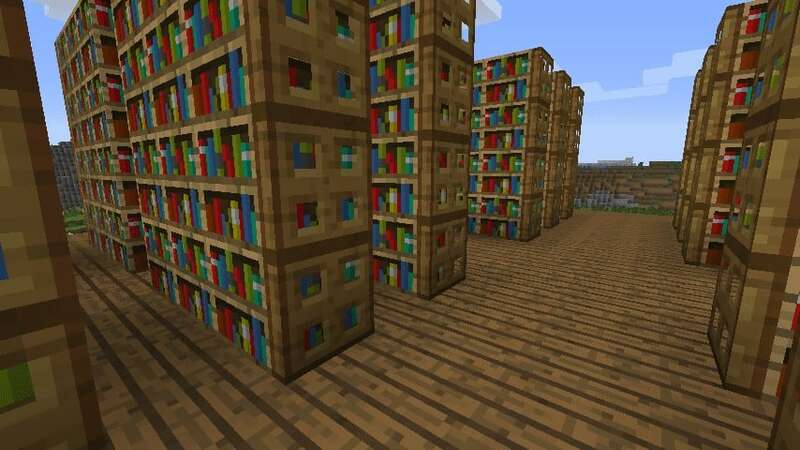 Make the book shelf as long and tall as you want. In the pictures below its 3 blocks wide by 3 blocks tall for reference. Then just place the trap doors on the ends making it look like the end of the shelf.